Like a pair of raw selvedge jeans, there's a sense of pride buying natural leather. That the color, shape and scuffs are all unique to you and how you've cared for and treated the piece. It's a blank canvas, essentially, and whether you want to protect it or simply darken it up to your desired shade, there are countless ways to go about it. We asked New England-based leather maker Eric Heins, the founder of Corter, for a crash course in leather care. Our house method: It's all about doubling up. Two days in the sun, two coats of mink oil followed by two coats of Obenauf's and then two days to dry. Before we get into treating or tanning, if any of your leather products gets muddy, spilled on or starts to take on too much indigo from those raw selvedge jeans, clean it off with a damp sponge and a dab of mild detergent, saddle soap or (for indigo especially) mink oil, working in small circles. Just remember to treat the leather once it's dry. I work mostly in unfinished or "natural" vegetable tanned leather because it responds so uniquely to every different method of care and use. It tans similarly to human skin in direct sunlight, and I usually tan my personal pieces for a couple days on each side until they're a nice carmel color. Tanning leather before oiling will bring out deeper reds and dimensionality, but you don't have to tan natural leather. Some people prefer to wear it untanned and let it tan slowly as it's used. This will usually produce more pale yellow tones and much stronger contrasts in high use areas. My favorite oil, and what I use on my personal goods before a coat of Obenauf's. Rendered from mink fat, this creme or liquid gives the leather a deep reddish tone and darkens the leather to an almost burnt carmel color (a medium coloring). Commercial mink oils like Kiwi's, however, are usually mixed with waxes that waterproof. This is good with dyed leathers as it won't affect the color as much, and it is readily available. Coming from the shin bones and feet of cattle, this oil is used on saddles and baseball gloves. It gives the leather a softer yellow tone, and darkens to a light/medium brown. It also softens and can potentially darken any sort of leather. Make sure you use 100% pure Neatsfoot oil, as synthetics can break down the leather faster than normal. This is the leather care choice of Corter Leather. It should be your top coat after any oils. I absolutely love it. It contains waxes and a mixture of oils to really protect leather from water. It won't change the color much and after it dries, the leather will be shiny, hydrated and protected. Similar to Obenauf's, this is a well respected leather dressing suitable for yearly or biyearly leather maintenance. The general rule is that pure, liquid oils will likely darken leather at least a little, while pastes often contain waxes and water repellants to dilute the pure oil, thus softening its effect. Once you're ready to use an oil or paste, don't be afraid of it. Leather is tough, and there's no need to go easy with cotton balls or Q-tips. I use a rag for oils, and my hands for pastes. Work the product into the leather per the instructions (usually 2-3 coats and then let dry overnight). Retreat every 6 months with a single coat, or when the leather feels dry. 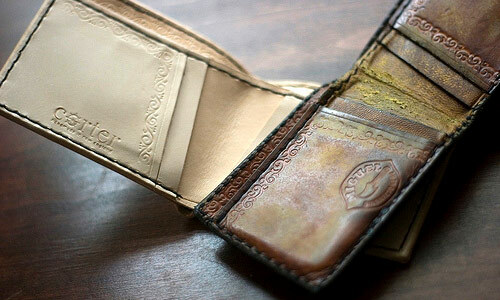 There are so many different types of leather that react differently to the many various products out there. It's important to test any new product on a small, hidden patch before treating the whole item.